2017 Bibliopolis Summer Reading Challenge! I am excited to announce the 2017 Bibliopolis Summer Reading Challenge, which starts today, and ends September 1st. And yes, if you’re in the middle of a book right now, you may use it for the challenge. Sorry to all the adults, this is a chapter book challenge for high school and younger only. I’m guessing the participants will be 2nd-12th graders, but if your K-1st grader wants to tackle it, they are welcome to, especially if you the parent want to read along with them. How does it work? If you’re at Gracepoint Berkeley church, you can pick up a copy of the bingo board at Bibliopolis. 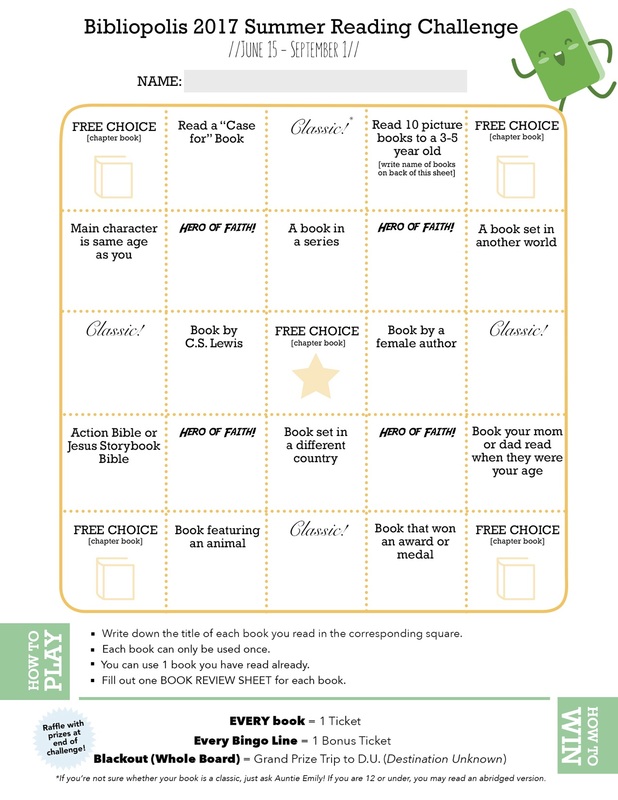 If you’re at one of our church plants, or away for the summer, you can download your own copy of the 2017 Summer Reading Challenge bingo board here. There are 25 squares (of course you can read MORE!). You can choose what bingo line you want to start reading. You’ll get one raffle ticket per book, and one bonus ticket for every bingo line. So you don’t necessarily have to make bingo lines for this challenge. For each book you read, you’ll fill out a book review. 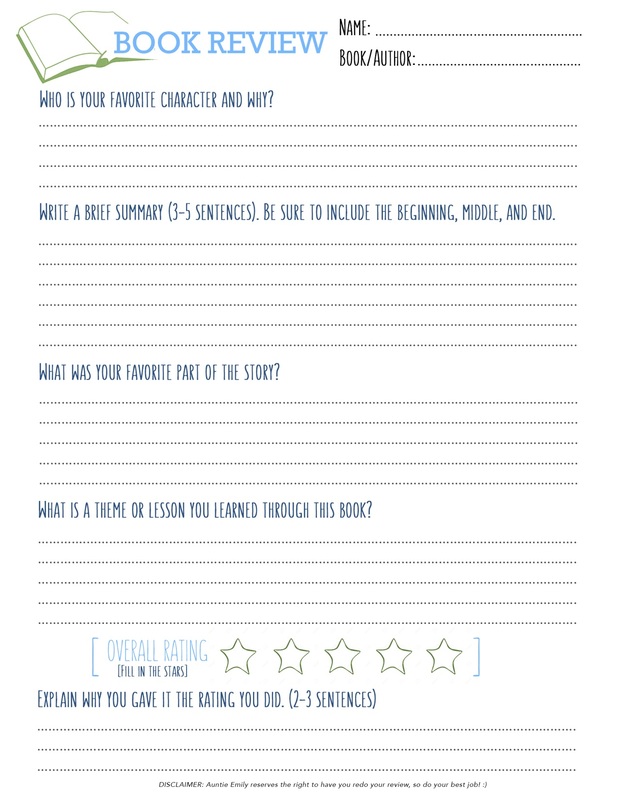 Below is a picture of it, but again, you can download your own copy of the Book Review form here. You’ll want to put this somewhere safe. I would strongly suggest using a folder or binder for your entire challenge, as you’ll need to keep all of your book review forms together as well! The book review doesn’t take too long, but do notice at the bottom it says that you will be asked to redo your book review if you do a shoddy job. I hope you have fun doing this challenge, and yes, I will do it too! What’s the first book you’re going to read? This entry was posted in Bibliopolis and tagged reading challenge, summer reading, summer reading challenge by hemilykim. Bookmark the permalink.